If you were wondering what EIFF's lineup might look like under new director Mark Adams, the festival has just teased a rare opportunity to enjoy classic American TV movies of the 60s and 70s on the big screen. 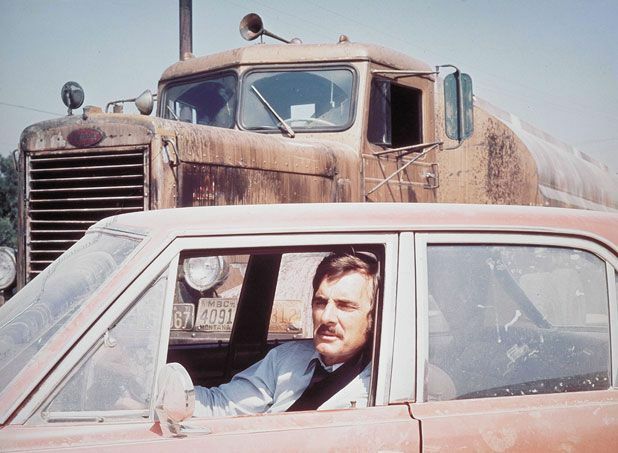 The 2015 retrospective, 'Little Big Screen', will include films by some of Hollywood's biggest directors of the last 50 years, and will feature Steven Spielberg's brilliant killer truck debut Duel (1971), Michael Mann's prison drama The Jericho Mile (1979), Tobe Hooper's adaptation of Stephen King's Salem's Lot (1979), and Sam Peckinpah's Noon Wine (1966) starring the greats Jason Robards and Olivia de Havilland. 'With this retrospective we aim to present our audiences with a selection of the most significant titles from a golden era of made for television movies in the US,' says EIFF Senior Programmer, Niall Greig Fulton. In more exciting news coming out of EIFF, Mexico has been announced as the international country of focus for the 2015 programme, with both new features and shorts to be showcased along with a selection of retrospective titles from one of the world's most vibrant cinematic nations. Edinburgh International Film Festival 2015 runs Wed 17–Sun 28 Jun.